"Donna Milo, a young lady whom I have known for some time, has announced that she is going to be a candidate for City of Miami Commissioner... Donna is extremely competent, and already has a fairly substantial number of people who are backing her... Donna is so determined; you would believe she has already won the election." "I would like to commend you on your efforts to become a Commissioner in District 2 in the City of Miami. I am certain you will execute the duties of that office with the same professionalism and skill with which you have mastered the extensive renovations to my medical office as well as my personal residence. 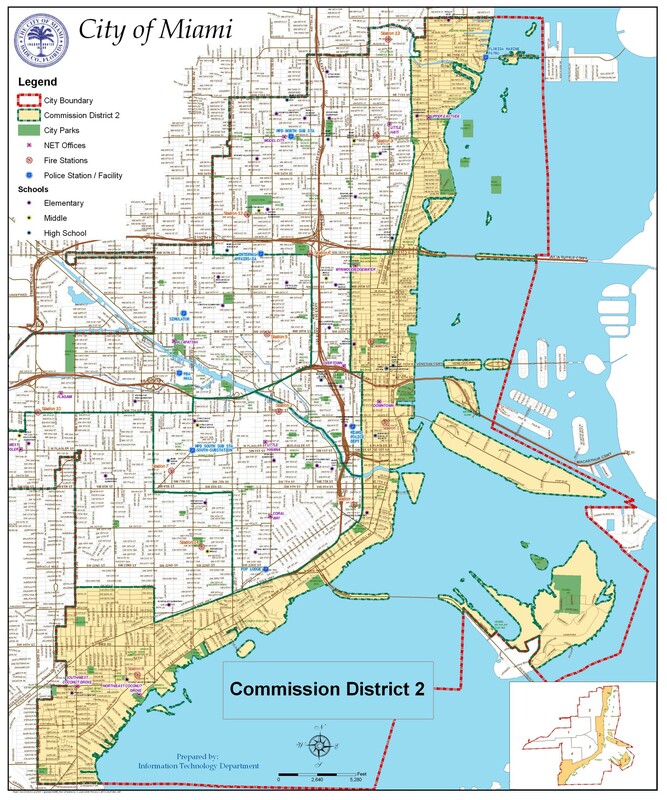 Please accept this letter as an endorsement of your candidacy to the office of Miami City Commissioner in District 2. You will be a tremendous asset to the residents of the City of Miami in that capacity." Clinical Associate Professor of Internal Medicine, University of Miami School of Medicine, Ret. "I am most pleased to endorse Donna Milo in her campaign to become the Miami City Commissioner for District 2. As the former Preservation Officer for the City of Miami, I had an opportunity to become personally familiar with Ms. Milo's ethic and her ability to logically reason and decide complex issues when she served as a member of the City's Planning and Zoning Board. In my observations she showed empathy and an over-riding concern for the people of the city and their welfare. During the interminable meetings concerning the adoption of a new form based zoning code called Miami 21, Ms. Milo worked with the staff of the Planning Department to understand the implications of the new code, a most time-consuming task. It is that kind of dedication and intellectual integrity that sets her apart from others. Although many of the provisions of that code were contentious, Ms. Milo continually voted her conscience based on her vision and the information gained from citizen involvement. I have no doubt that as a City Commissioner she will continue to serve the people with compassion, skill and integrity." Ellen Uguccioni is a historic preservation professional with over thirty years of experience who has served in municipal governments including Kansas City (Missouri), Coral Gables and Miami. She is widely published and called upon as an expert in her field. Ms. Uguccioni has for the last ten years served as a gubernatorial appointee to the Florida Historical Commission, the state advisory board that reviews National Register nominations, recommends grant funding and reports to the Florida Secretary of State on historic preservation issues in Florida. "I am very proud to endorse Donna Milo in her campaign to become the Miami City Commissioner for District 2. As the former Planning Director for the City of Miami, I had an opportunity to work with Ms. Milo when she served as a member of the City's Planning Advisory Board. I was very impressed by Ms. Milo's unshakable integrity, her logical approach, and her ability to decide complex issues while always serving the best interests of the citizens of the City of Miami. As a member of the Planning Board, Ms. Milo was very diligent in working with the Planning Department staff to thoroughly understand the implications of the various plans brought before the Board. She showed great interest in the Miami 21 code, spending endless hours meeting with the Planning Department to ensure a quality result for the citizens of the City of Miami. Her dedication to the people and her desire to improve the quality of life for Miami citizens through her actions as a Board Member made her invaluable. I am certain that as a City Commissioner she will continue to serve the people of Miami with dedication, passion, and integrity." Ana Gelabert-Sanchez was planning director for the city of Miami from 1998 to 2010. She has recently completed a Loeb Fellowship at Harvard University's Graduate School of Design. She will be a Design Critic in Urban Planning and Design at the Harvard Graduate School of Design in the fall of 2011. She was named Top Public Official of the year for 2010 by Governing magazine and received the CNU Groves Award on Leadership and Vision in 2011. Donna brought to our attention a study that adding parks and other amenities are some of the ways to retain and attract the middle class. We know many businesses looking to relocate count these amenities and Miami fails the count.